Rick Horrow | My "Marketing Nirvana"
Social media’s greatest strength may be giving voice to the underdog. 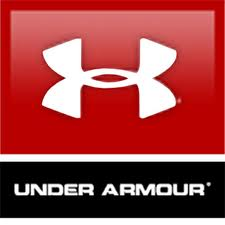 As President and CEO Kevin Plank of Under Armour noted recently in an interview with Nightly Business Report’s Rick Horrow, the company is poised to compete with athletic giants, the likes of Reebok and Nike, and is leveraging its innovation with social media. As a lifestyle brand delivering hi-tech performance, Under Armour has used social media to drive engagement with its winning “Ultimate Intern” competition, a search contest that has succeeded in creating brand buzz. Of course, social media is uniquely suited to reach the company’s core target audience of 13 to 24 year-olds. Under Armour continues to innovate by kicking it up a notch; by giving us in effect a 50 yard line view of player performances tweeted by experts at the NFL Draft Combine. So, what’s your favorite athletic brand? Do you play with athletic companies via social media? Let’s all make an effort to get in the game. Share your thoughts on innovating in the digital age.